Florida and real estate investment go hand in hand. While the name of the state may for many mean alligators, Spanish architecture, theme parks or beaches, it is equally true that it signals property investment. 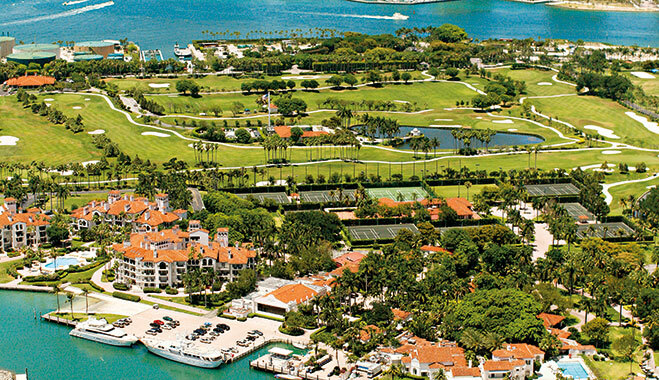 Ever since the draining of the everglades in the 19th century – leading to property booms in the early 20th century – or the second boom following the Communist takeover of Cuba in the late 1950s, Southern Florida – with Miami at the epicentre – has been a popular place for putting money. Today, Miami and the surrounding areas are one of the top places for international investment. Foreigners investing in property in Miami actually outnumber all other foreign investors in the US. The prevalence of this can be seen by the fact that 72 percent of realtors in the Miami-Dade and Broward areas reported to be working with foreign purchasers. Based on the 2014 Miami International Buyer Survey, the top five nationalities investing in the Miami-Dade area property are – apart from French buyers – nearly all from Latin American countries. Since the 1990s, while stability and governance in the US’ southern neighbours have improved, problems still persist. The past few years have also seen economic stability and residual fears over political corruption and instability return. Chief among this cohort has been Venezuela; since the election of President Hugo Chavez, the country has slowly taken a downward spiral. While the proximity of Miami has always been a draw to wealthy cash-rich Venezuelans looking to invest in US property, the boom in Venezuelan investment in the area picked up following the ascension to power of Hugo Chavez’s socialist government in 1999. This has picked up even further in the last few years, as Venezuela’s stability and economy has further deteriorated, through a mix of economic mismanagement and plummeting oil prices. With inflation and crime on the rise, many Venezuelans with the monetary means to do so have either been placing their cash in Miami property for safekeeping, or purchasing homes in the city for residency. Argentina has also seen its own economy dip in the past few years, after an initial boom linked to the commodity super cycle. In the last few years, it has seen its inflation rate hover around 25 percent – a devastating figure for those with cash-deposit savings. The result of this has seen Argentines increasingly becoming market leaders in Miami property. On the one hand, businesses looking for safe investments and projects have increasingly invested in Miami construction projects, such as Oceana Bal Harbour, among many other large-scale development projects being carried out by Argentine firms and developers. This has resulted in increased ease of selling apartments to buyers in the Argentine market, which, at the same time, are eager to invest in such properties due to their country’s economic instability. Yet it is not all economic fear and uncertainty pushing wealthy Latin Americans to the Miami property market. No doubt some Brazilians – as political concerns rise alongside persistent economic woes – see Miami as a safe investment place as much as Argentines and Venezuelans do. However, the rise in the number of Brazilian buyers is also no doubt linked to the increasingly strong links between the country and the region. For instance, 51 percent of Miami’s tourists in 2013 hailed from Brazil, though they are relative newcomers to Miami in terms of Latin American nations and Cuba remains dominant. But, for the past few decades, Brazilians have increasingly become big players in the city’s property market, while Brazil is now also South Florida’s largest trade partner. A similar situation is also afoot with Colombia’s growing interest in Miami. While Colombia is facing a time of economic uncertainty, many Colombians are also attracted to property investment in Miami due to its already sizeable Colombian community: over 100,000 Colombians or people of Colombian origin already live in the city. Colombians began to settle in the city in the 1980s, and now make up five percent of the area’s population, making them the largest group of South Americans. The cultural impact of these large numbers can be felt and seen throughout the city, with Miami’s Colombian Independence Day Festival held annually in Bayfront Park, at the centre of downtown Miami.